Gandhinagar: A senior railway official said that the Renowned hotel chains ITC & Leela have bid for the operational rights for the ambitious 5-star hotel project above the Gandhinagar railway station in Gujarat. These 2 Hotel chains have submitted tenders to run the first of its kind Rs 270 crore hotel, which is being built as part of the redevelopment plan of the Gandhinagar station. The Leela Palaces, Hotels & Resorts, commonly known as The Leela is an Indian luxury hotel chain, founded in 1986 and is currently a group of 8 luxury palaces & hotels across the country. The 300-room hotel is scheduled to be completed by next Year. The Rs 500 crore station redevelopment plan will be done by January 2019, just in time for the next edition of Vibrant Gujarat. 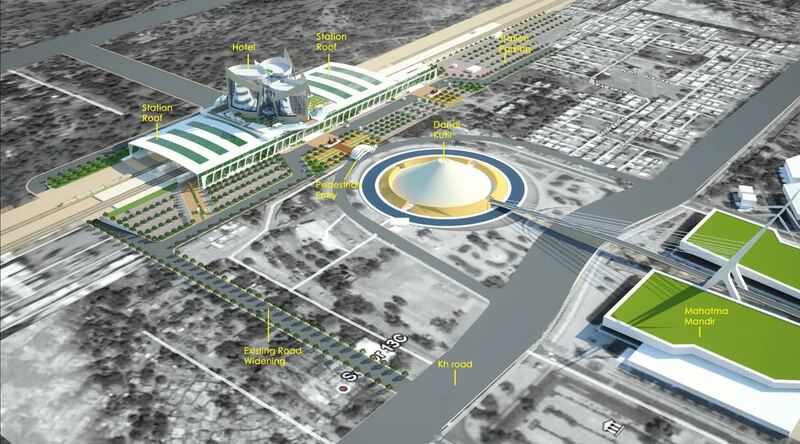 “We need the hotel for Vibrant Gujarat and the project will be ready on time. The bids on tenders for appointing an operator has already come in and very soon it will be finalised. “This hotel will be the first five star hotel in Gandhinagar. The nearest such hotel is 18 km away. Along with the convention centre which is 400 metres from the hotel, we expect to generate great revenue,” said Vivek Bhushan Sood, Chief Project Manager, IRSDC (Indian Railway Stations Development Corporation Limited). 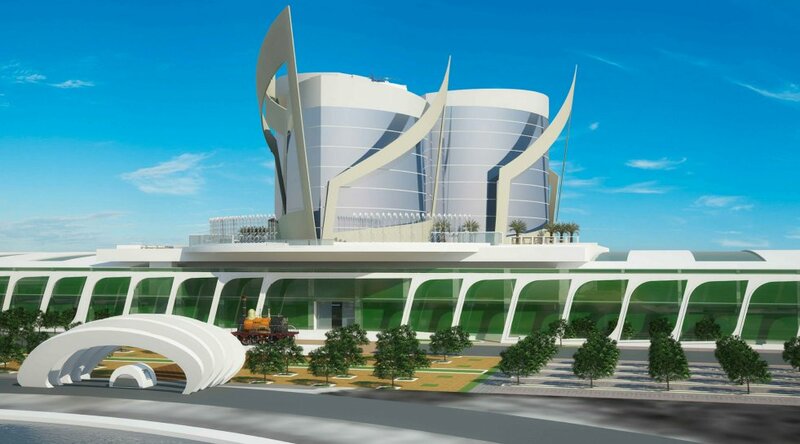 The hotel shaped like an arrangement of petals will be constructed 17 metres above ground level giving it a height of 65 metres, the highest in state capital, besides being hi-tech & passenger friendly. Officials said, Whoever gets the operational reins of the hotel- ITC or Leela- will have it on lease for a period of 75 years.